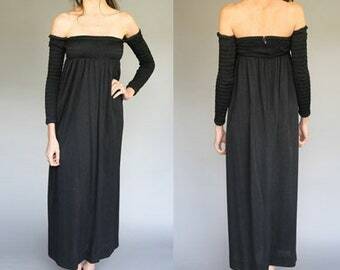 A classic vintage 1970’s two-piece maxi dress in a black stretch knit; unlined. 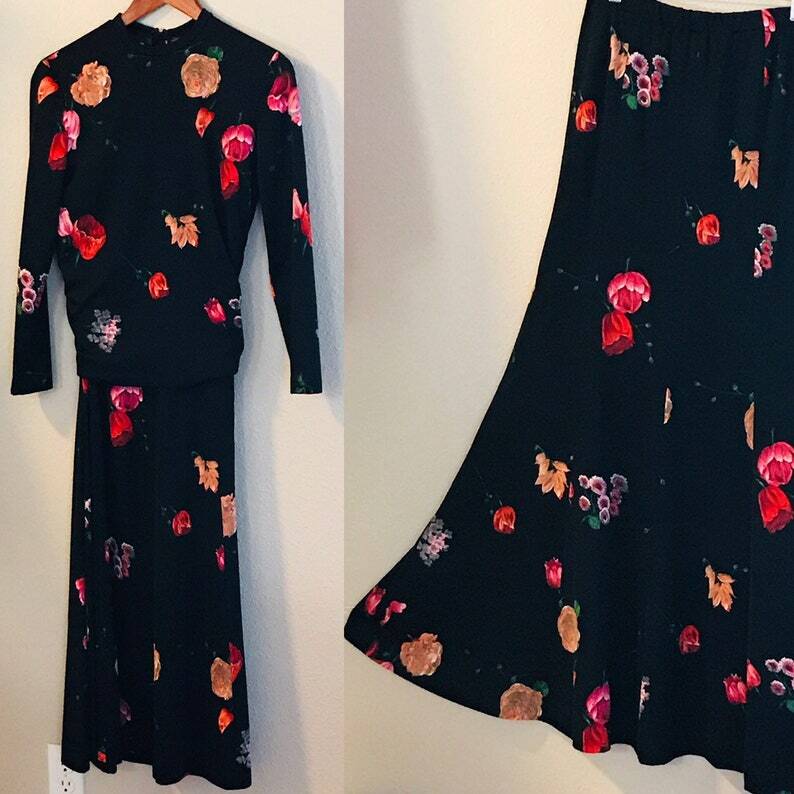 Floral pops of color against black. 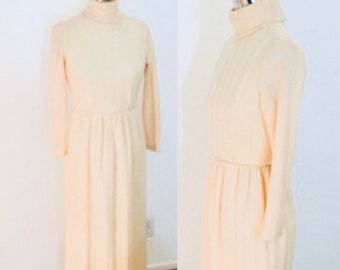 Mock neckline on top with a back zipper closure; long-sleeve. 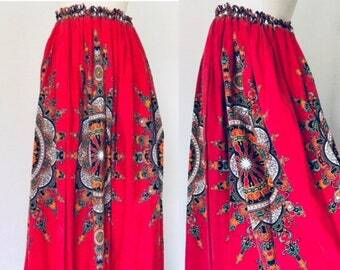 Maxi skirt has an elastic waist; fitted throughout upper skirt then flares at knee. 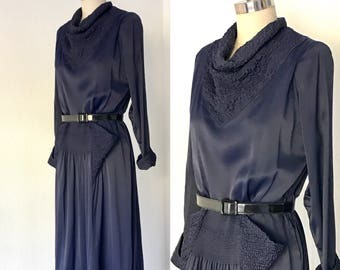 Lots of great ways to wear this beauty: untucked; tucked with a wide belt. 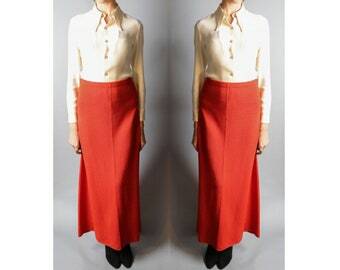 Both top and skirt are excellent and versatile as separates. 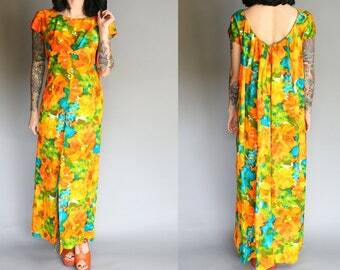 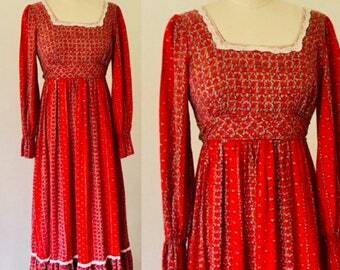 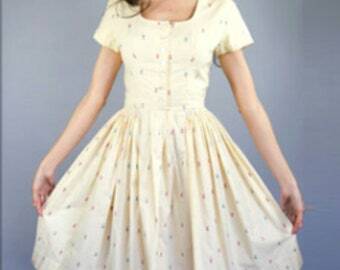 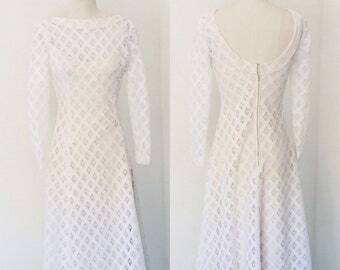 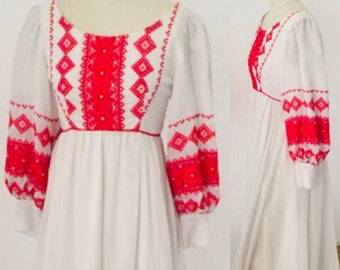 A great addition to any vintage wardrobe!